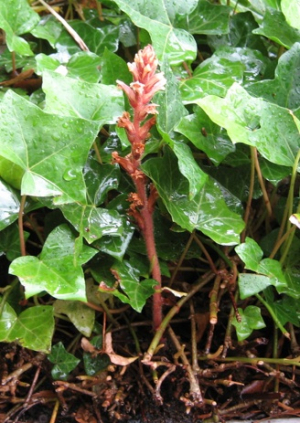 Observation - Ivy broomrape - UK and Ireland. Description: Growing in a solid bed of ivy under a turkey oak. Growing in a solid bed of ivy under a turkey oak.